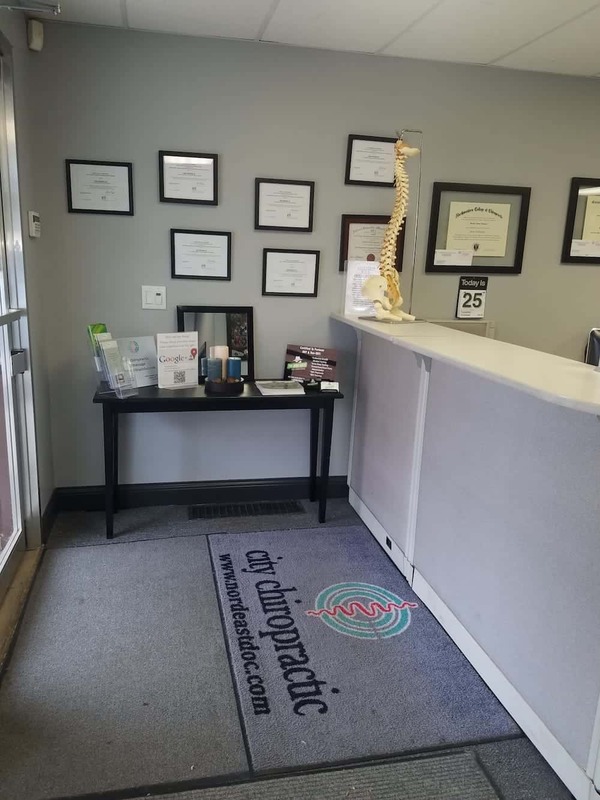 At City Chiropractic, both Dr. Johnson and Dr. Bohnen are certified in the Cox Technique. The Cox Flexion Distraction procedure is not painful, but rather safe and gentle. It gently opens up space in the irritated segment. It causes the affected disc to eventually move back to its proper place, thus effectively eliminating the cause of the pain and discomfort. When performed over an 8 to 10 week period, the herniated/bulged disc can heal up. The chiropractic procedure is without force. We use a gentle and controlled motion that causes any inflammatory byproducts to be mobilized from the area. The benefits of this technique are: increased disc height, dropped pressure in disc, increased intervertebral foramen and restored motion in vertebral joints. Cox Technique (www.coxtechnic.com) founder, Dr. Cox explains Cox Technique / Flexion-Distraction as a marriage of chiropractic principles with osteopathic principles. These principles were set forth by Alan Stoddard, DO, in his book, ‘Manual of Osteopathic Technique’ written about the manipulative procedures developed by John McManis, DO, in the early 1900’s. Since the early 1970’s, Dr. Cox has refined the technique; developed a manipulation instrument for effective use of the technique; conducted clinical, as well as participated in experimental, research; lectured around the world; and written well-received articles, chapters for textbooks, and textbooks. Cox Flexion-Distraction is a gentle, non-force adjusting procedure that works with the body’s natural design to aid it in healing. Dr. Cox has developed a special table for effective use of the technique. The Cox Table (www.coxtable.com), a Flexion -Distraction table, is used to apply the distraction spinal manipulation adjustment. What to expect from this technique: Tractioning the spine and then flexing it can resolve pain from joint and disc problems painlessly. It is a powerfully effective, conservative approach to low back and leg pain, and an alternative to explore before recommending surgery. For patients with non-disc related conditions causing back pain (facet syndrome, spondylolisthesis, sprain/strain, scoliosis, transitional vertebra, sacroiliac subluxation, stenosis), Cox Flexion-Distraction provides all of the above benefits plus the ability to place spinal joints into normal movements to restore spinal motion without pain. Dr. Mike and Dr. Jake travel between Mpls and Andover clinics and do Home visits throughout the day. Please call Dr. Mike's cell 612-810-5151 if you need to schedule an after hour visit or if you're unable to reach the office during office hours.